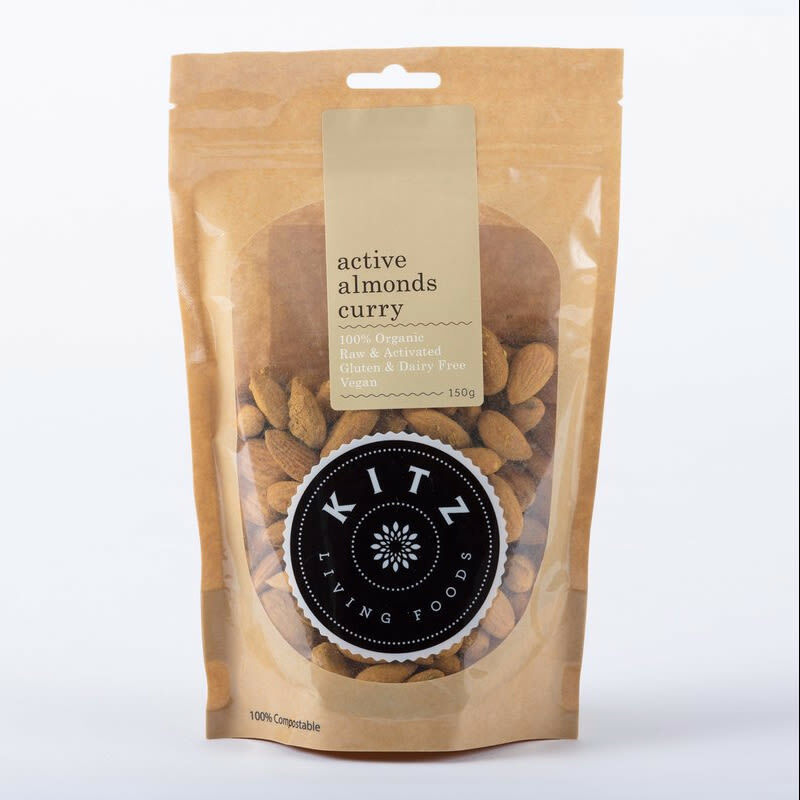 Raw organic almonds are activated with an overnight soak in cool filtered water, rinsed and tossed with finely ground organic coconut and organic sultanas, plus organic cinnamon, organic curry powder, and Himalayan salt; then low-temperature dehydrated to create our Active Almonds Curry. 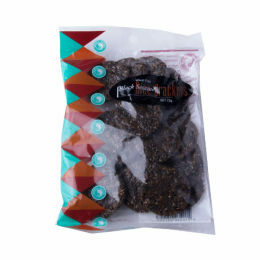 These Active Almonds have a fantastic crunch with a robust curry flavour. 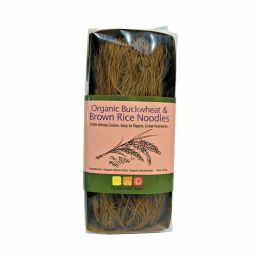 Great for snacking or as a garnish on an Asian dish. Multiple servings, in a convenient re-sealable bag.